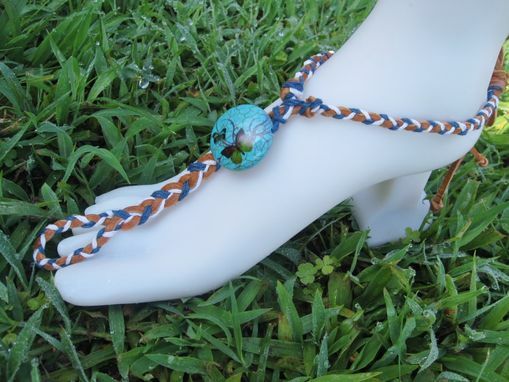 Blue Butterfly Slave Anklet. Boho. 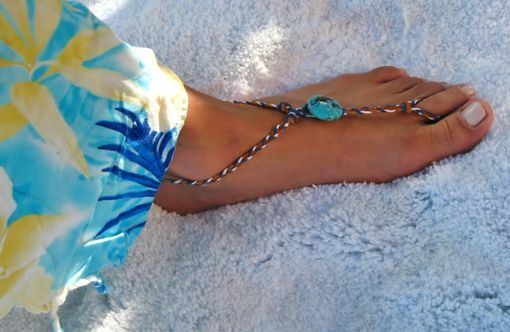 Foot Jewelry. It Fits Shoe Sizes 9 And Up. Handmade. Toe thong. 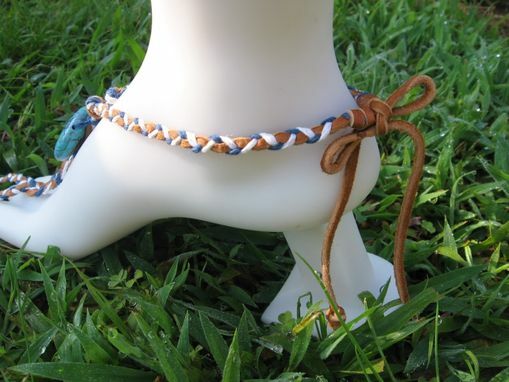 Foot jewelry.Tan deerskin lace hand braided with dark blue and white hemp cords. 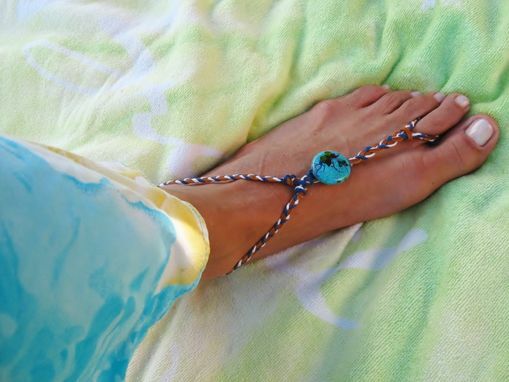 Barefoot jewelry. Artisan. Made in Maui.